with its landscape as the New Horizons Spacecraft flew by in 2015. You can now explore this world in your hands with the AstroReality PLUTO model. enhanced with an AR experience that can transform you into a planetary explorer! New Horizons took over ten years to reach Pluto. planet in the palm of your hand. the Hillary Montes, that reach up to 3,500 meters high! 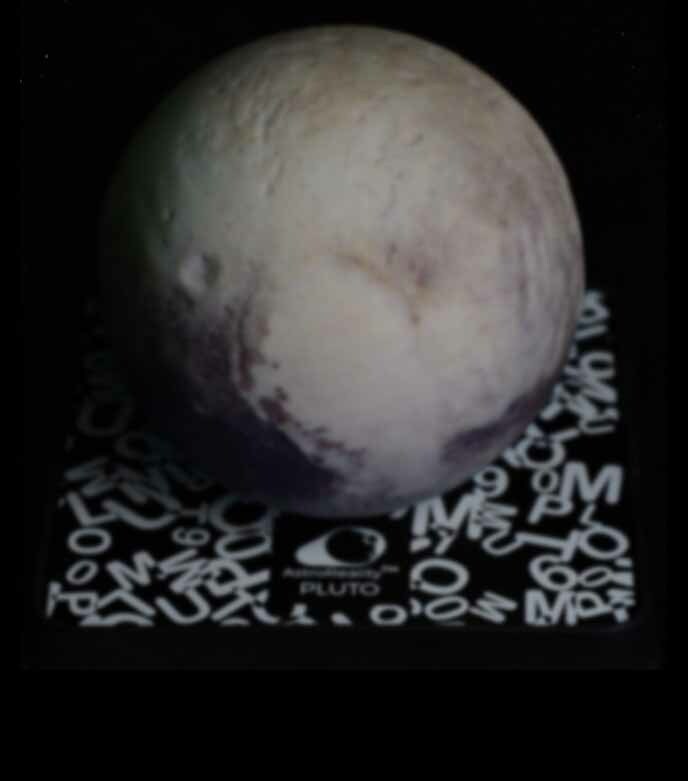 recorded by the New Horizons Spacecraft, into a beautiful model that you can hold. was discovered by astronomer Clyde William Tombaugh in 1930.
but instead the king of a new class of icy worlds in the distant Kuiper Belt. it revealed a world of beauty and complexity beyond our imaginations. This would is now yours to explore! is covered by nitrogen ice and is one of the brightest regions on Pluto.